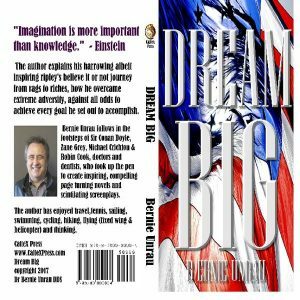 DREAM BIG copyright 2017 non fiction book 037 81 pages, illustrated. This is the author’s 1st piece of non fiction. Truth as they say is stranger than fiction in this Ripley’s believe it or not tell all rags to riches tall tale. In the face of extreme adversity, injustices and financial hardships, his resourcefulness, persistence, and sheer perseverance coupled with an incredible imagination overcame every obstacle in turn. His proven track record of accomplishing every goal he ever set out to achieve is an inspiration to everyone. If you believe, with all your heart, you too can achieve anything your mind can conceive. You don’t always get what you wish for but YOU ALWAYS GET WHAT YOU WORK FOR. DREAM BIG! His life reads like an amalgamation of the movies ‘Risky Business’, ’21’, ‘Big Fat Liar’, ‘Westworld’ TV series, ‘The Firm’ , ‘The Majestic’, ‘Top Gun’ and his own specially crafted, slowly aged blended concoction for a 30 + year overnight success. His mistakes became the stepping stones on his road to the realization of his dreams “…for whatsoever a man soweth, that shall he also reap.” Galatians 6:7-9 KJV. 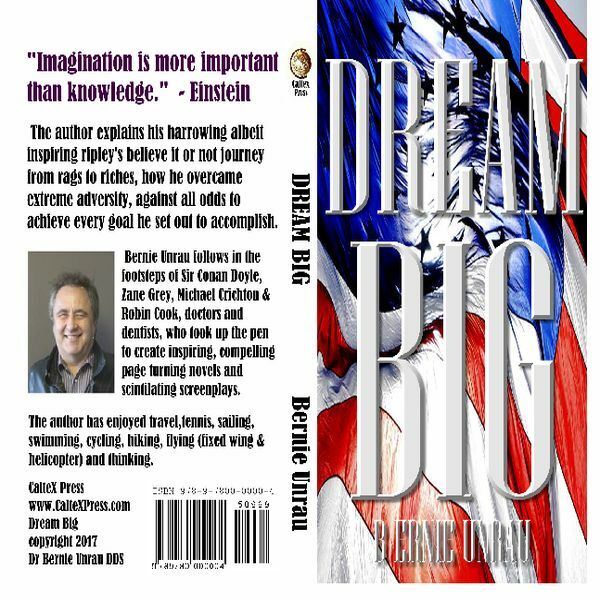 Citing countless quotes from inspiring people who dreamt big and made significant contributions in all sectors of society, the author takes you on his insightful unscripted, serendipitous journey, marked by a profound insatiable curiosity, a clear conscience, sound science, reason, synergy, sacrifice, a sense of justice, never giving up, that ultimately led to success.